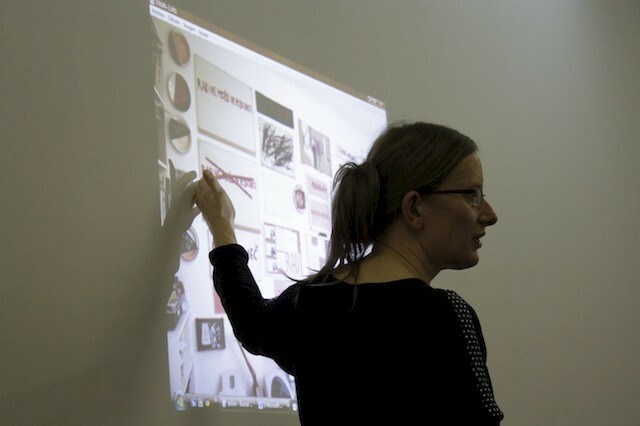 In her lecture, Bojana Kunst addresses the issue of artistic labour from the perspective of feminist artistic practice and through questions of infrastructure. Since the late 1970s, feminist artistic practices have engaged with issues of flexible and precarious work––issues still pertinent in artistic labour today. These early explorations of labour gave way to new ways of understanding and reflecting upon labour of the female artist and her emancipated life. Art happens as movement and is thus related to how we work, watch, inhabit, perceive and share. Infrastructure, here defined as use and movement, positions us in the world and becomes visible when it fails: it becomes perceivable inside its own crisis, that happens when the relations, movement and uses inside of it, collapse. This lecture points to how inside these movements, it is crucial to imagine other forms of entanglement between work and life, which are neither related to productivity, nor depending on the social and public visibility of the work. Bojana Kunst is professor and director of the Institute for Applied Theatre Studies / ATW – Institut für Angewandte Theaterwissenschaft, Justus-Liebig University Giessen, Germany, where she leads the International MA in Choreography and Performance. She lectures and organises seminars, workshops and laboratories in different academic institutions, theaters, artistic organisations across Europe, and works continously with independent artistic initiatives, artists and groups. She is a member of the editorial board of Maska Magazine, Amfiteater and Performance Research. Her last book "Artist at Work, Proximity of Art and Capitalism" was published by Zero Books in 2015. The lecture is part of the lecture program We Who Feel Differently, organised by Gardenia, a reading group among Städelschule students. It is the last iteration of three lectures.